It’s waiver trade season, and we’ve already seen some players change teams. But don’t expect the Dodgers to be involved too much this month. Jordan Lyles went from San Diego to Milwaukee. Tyson Ross went from San Diego to St. Louis. Adeiny Hechavarria went from Tampa Bay to Pittsburgh. Shawn Kelley went from Washington to Oakland and Mike Fiers — starting tonight against the Dodgers — went from Detroit to the A’s. A couple of those guys could have been solid fits for the Dodgers. But they had no chance at them for a number of reasons. First, the waiver claims work as follows: The order of claiming teams goes from worst-to-best record in each league. Meaning, if an American League player is placed on waivers, all 14 AL teams have first dibs at the waiver claim. The Red Sox get priority over the Padres on AL players. The same goes for NL teams — the Cubs would have priority over the Orioles. Now, players claimed can either be traded to the claiming team, outright given to the claiming team or pulled back. Often times, the player is pulled back because almost every player in baseball will hit waivers this month. None of those guys really fit what the Dodgers might need, mostly because one is an infielder and the other two are either not good and/or make too much money. Editor’s Note: All the financial information comes from Cot’s Baseball Contracts and Eric Stephen. Ah yes, the money. Something that has been a topic around the Dodgers since the close of last season. 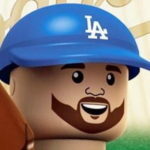 The primary goal for the 2018 season was to reset the luxury tax penalties, and while the Dodgers still have roughly $5.5 million of space before they hit the $197 million threshold — the defacto salary cap for the Dodgers this season — that doesn’t include Kenta Maeda‘s pending bonuses, which Eric Stephen has laid out. Basically, there’s almost no room to add salary. So, forget any of the big-name claims. Players making peanuts would either be claimed long before the Dodgers have a chance or wouldn’t be placed on waivers at all. The only way the Dodgers could add a player making any kind of money would be for them to offload a contract. The problem here is they don’t have that many tradable contracts. Outside of Matt Kemp (who I believe they’d trade in a heartbeat should it be on the table), the only other tradeable contract the Dodgers have that could even interest a team remotely would be Hyun-Jin Ryu. But he’d have to go to a contender because he’s a free agent after the season and, despite a solid rehab appearance in Triple-A last night, he’d be a risk for a contending team looking for starting pitcher help this month. The Dodgers picked up Curtis Granderson last year in August. They got Carlos Ruiz for A.J. Ellis two years ago. They grabbed Chase Utley three years ago. But I’d be surprised if they make any kind of significant deal — or any deal, really — this month because there are self-imposed financial constraints. The only work-around I can think of is if the Dodgers, somehow, traded for a non-40-man roster player from another team, since they aren’t subject to waivers, but they’d probably just promote one of their own prospects before doing something drastic like that. 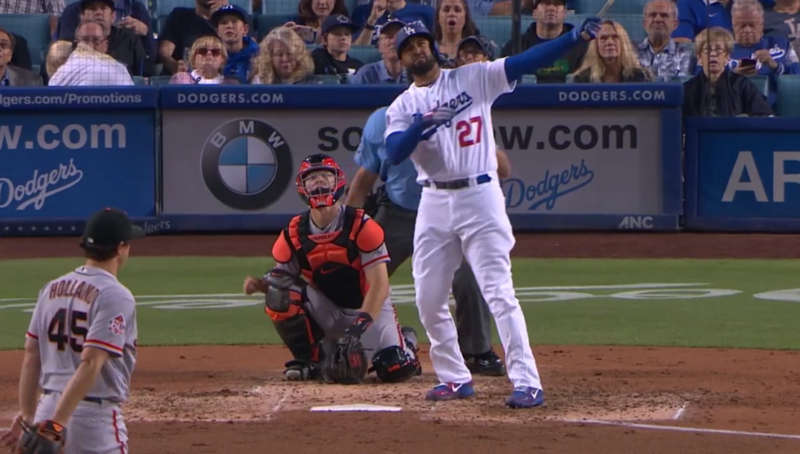 So if the Dodgers are going to improve their squad at all before the postseason (should they make it), the improvements are going to have to come from within.